Region: It is a logical grouping of fields set apart from other fields by an outline. Region tab: It is a collection of regions that occupy the same space in a window, where only one region can be displayed at a time. 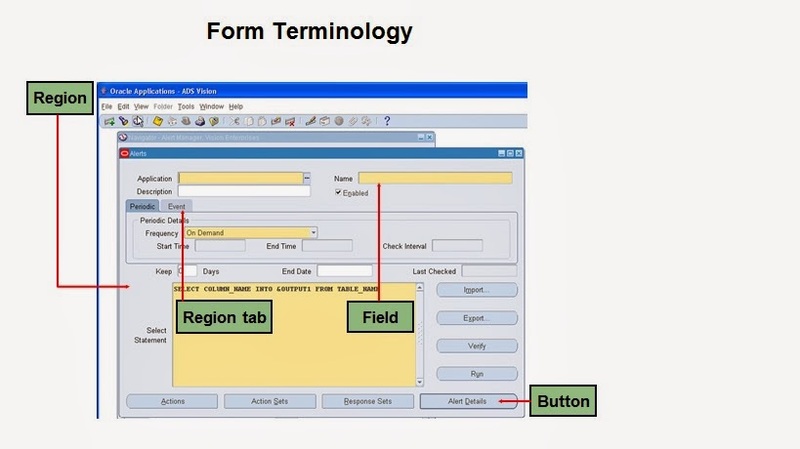 Field: It is an area in a window that displays data or enables you to enter data. Button: It is a graphic element that initiates a predefined action when you click it.